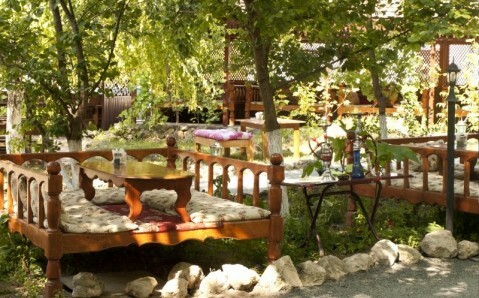 The café Ashlama Sarai is situated at the foot of the famous cave town Chufut Kale, not far from Bakhchysarai. 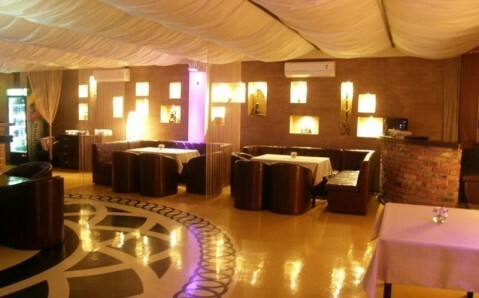 It serves dainty European and oriental culinary hits, as well as original khan’s dishes. 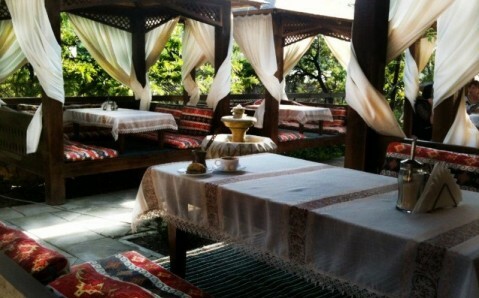 There is a wide selection of tea, coffee and oriental sweets. 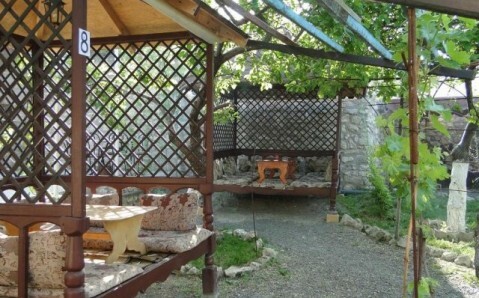 Main room and several cozy arbours in café’s yard are at guests’ disposal. 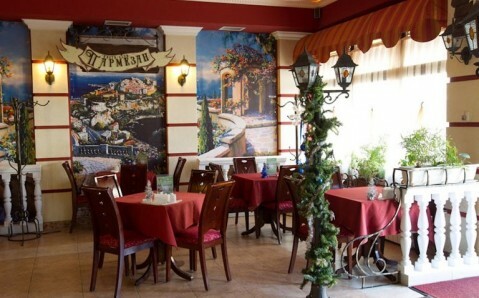 The restaurant Atrium Caesar is situated not far from Simferopol downtown and is famous for original cuisine, exquisite interior and excellent service. Its menu features a wide assortment of classical Italian dishes and a wide selection of wines and strong drinks. 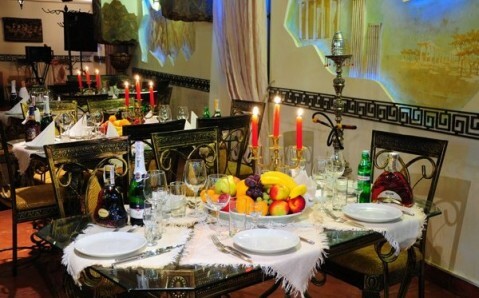 The restaurant has a spacious room designed in Italian style.